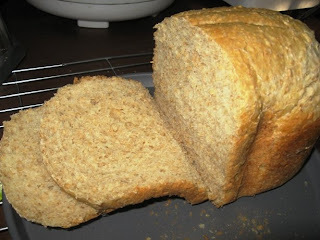 The recipe for this wholemeal bread was taken from the internet and I used half of the actual ingredients to make a smaller loaf. 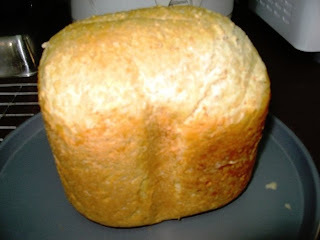 The yeast is a bit strong, 2 teaspoons of instant yeast for 250gm of wholemeal bread flour, seriously I do not like the smell of the yeast when I eat the bread. Do you have any good bread recipe to share with me?